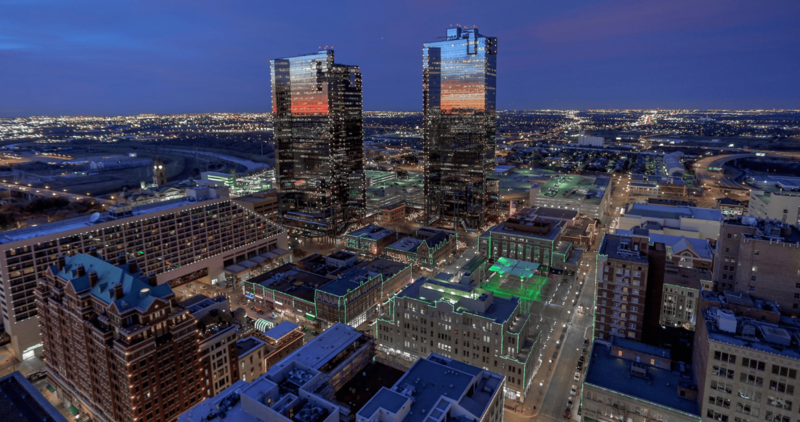 Privacy and Luxury await in this remarkable Condo situated in downtown Fort Worth at The Omni Residences! Great location on the 27th floor! Enjoy low maintenance living in this contemporary condo w-spectacular balcony and walls of glass that offer exceptional panoramic views of the skyline! An awe-inspiring interior has electric shades, hardwood floors, open floorplan, Formal Dining, Gourmet Chef's Kitchen with Viking apps, built-in fridge, granite + gas cooktop. Elegant Master Suite w-walk in closet and spa worthy bath. Spacious Guest Bedroom w-full bath. Amazing amenities include pool w-private cabanas, terrace, Mokara spa, 5 fabulous restaurants, gym + zen garden. 24 hour security. 2 premium covered parking spots.